It’s important to see clearly in the midst of the incredible amount of cultural confusion today, especially when faith leaders like the pope make statements that leave many of the faithful scratching their heads. Now, when it comes to civil discourse, a meeting like this can accomplish good things. But when it comes to Christian doctrine, a meeting like this can confuse the masses, unless there is abundant clarity, which the pope did not offer. Not only was Pope Francis not clear, he even twisted the meaning of Scripture to relegate Christ’s Great Commission in Matthew 28 down to Islam’s command of conquest. Islam in its truest form, according to the Quran, is a political conquest that forces belief and prevents individual freedom. Just look at Muslim-dominated countries where Shariah law is in effect, and you’ll see the result. Women and gays don’t bode well there. Christianity, on the other hand, is a spiritual conquest that invites belief and promotes individual freedom. A simple look at history in Europe and America reveals the result of this. Unfortunately, both have abandoned Christianity’s true, biblical roots. 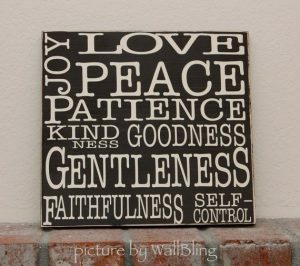 “ But the fruit of the Spirit is love, joy, peace, patience, kindness, goodness, faithfulness, gentleness, self-control; against such things there is no law” (Galatians 5:22-23). Can you imagine a nation of people like this? You don’t need laws to govern them – they govern themselves. This self-government produces great civil government, because the people have become a law unto themselves. Shariah law, on the other hand, forces people to act according to the doctrines of Islam. It removes personal freedom and does not have the power to change a person from the inside out. You see the difference? All religions, including Islam, are based on two words: Believe and behave. But Christianity is based on three: Believe, become, behave. You see, the conquest of Christ is in the heart of a man. He changes mankind from the inside out, allowing them to become the righteousness of God and produce the fruits of His Spirit. This is true spiritual conquest. In a day and age when confusion and chaos are around every turn, it’s important to be abundantly clear. Even the pope should know this.